Life at Zemi Beach House is life without limits. It’s about waking up daily to new opportunities. Embarking on new adventures. Gaining new perspective. And returning each evening to the comforts of your own secluded enclave on one of the Caribbean’s most elite and tranquil islands. Make Zemi Beach House your own. 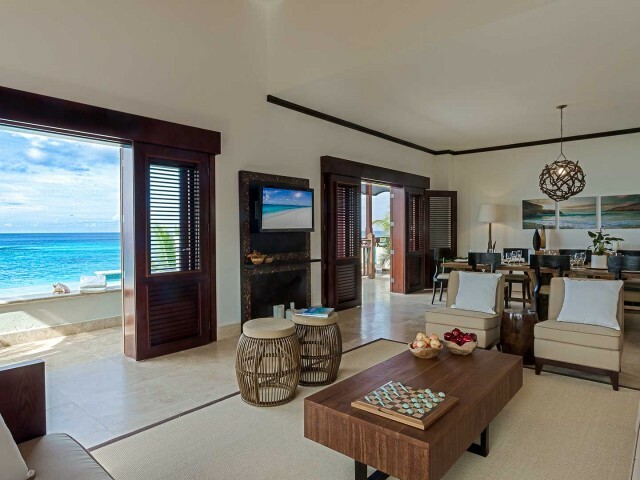 Zemi Beach House residences capture the beauty of Anguilla’s natural surroundings in a contemporary Caribbean style. The architecture was inspired by Anguilla’s natural environment, blending modern, clean lines with classic Caribbean building details. Available for private ownership are luxury studios starting from $600,000 and exquisite two- and three-bedroom beachfront residences starting at $2,099,000. With sweeping views of the Caribbean Sea and Fountain Cavern National Park, each offers spacious indoor/outdoor living with a large terrace and private pool; expansive open-layout interiors ideal for entertaining; and direct access to one of the world’s most sought-after natural white-sand beaches, Shoal Bay East. Every detail is custom designed and sourced. Generous windows open to sea breezes and the fragrance of frangipani blossoms. Master bedrooms with ensuite bathrooms open out to spacious terraces that invite a leisurely breakfast or a sunset cocktail. Oversized bathrooms feature dual vanities, rolled-edge soaking tubs, and showers with refreshing rain showerheads. Open kitchens are well stocked for whipping up anything from a romantic dinner for two to a dinner party catered by Zemi Beach House’s highly skilled chefs. Large private plunge pools invite a refreshing dip and are flanked by ample space for lounging with a book or a chilled glass of wine. Penthouse plunge pools are set on rooftop terraces that afford spectacular panoramic views.